We still don’t really know what the Alice in Wonderland sequel will be about, but D23 Expo’s costume exhibit has given us a few hints as to where the story might be headed. Check out photos of the six costumes on display below, as well as a pair of teaser posters. 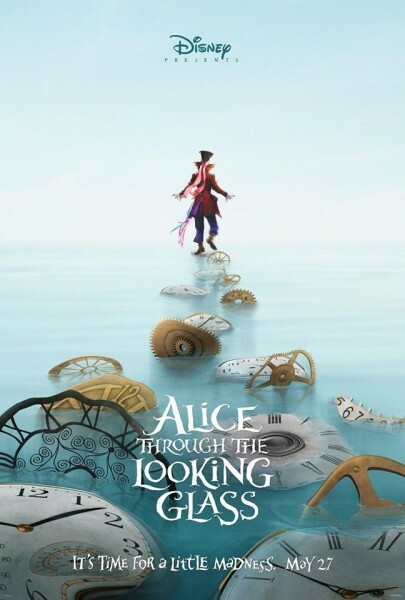 The sequel will be directed by James Bobin (The Muppets), and will feature much of the same cast including Mia Wasikowska as Alice, Johnny Depp as the Mad Hatter, Helena Bonham Carter as the Red Queen, and Anne Hathaway as the White Queen. Series newcomers will include Sacha Baron Cohen as Time and Rhys Ifans and Zanik Hightopp, the Mad Hatter’s dad. It’s out on May 27, 2016. If nothing else, it’s really colorful. Disney and IMAX have inked a huge deal to bring a ton of the studio’s films to the big, big screen over the next two years.